Come! Rather than cover-up, here you’ll get well. As an authentic (real, subluxation-centered) chiropractor, I do not treat pain. I seek to remove cause (Vertebral Subluxation Complex, or VSC) through gentle, specific, scientific chiropractic adjustments. I adjust, and allow the body to heal. Pain relief is usually a nice side effect of getting well through Marin County chiropractic care. Dr. Harte uses gentle adjusting techniques that can help correct the cause of your pain. Anyone with back pain or neck pain should be under chiropractic care. It’s just common sense. And, yes, most do recover from their back pain here, usually far better (and always far safer) than with any of the standard medical treatments. The point of Chiropractic IS NOT to treat the pain, to cover up the problem; the point of Chiropractic is to remove the cause…Vertebral Subluxation Complex (VSC). Chiropractic corrects VSC. Meanwhile, while you are living on your anti-inflammatories, whether they be prescription medications like Celebrex, or the popular over-the-counter goodies like Advil, Tylenol, Aleve, Motrin and aspirin, you are placing your kidneys, your liver, your heart and your stomach at risk. And, your already damaged joints will become even more damaged from these drugs. (These days, one can even get a prescription for Cymbalta, an anti-depressant, for chronic back pain. Is this to fool your brain into not caring about the pain?) These medical approaches are not rational, nor are they scientific. Getting rid of the pain does not get rid of the problem. Find the cause. Get adjusted. Serious Neck and Back Pain, Including Cases Involving Herniated Disks, Stenosis, Arthritis and More! Herniated disks? Stenosis? Degenerative joint disease? Other serious spinal diagnoses? I know you’ve been given two choices… “Live with it,” along with a lifetime of heavy-duty drugs, or surgery. Would you like to play “Cheat the surgeon?” Read on! Back surgery is never simple, always dangerous, and never addresses the real cause, Vertebral Subluxation Complex (no matter what your current diagnosis is). Almost everyone gets worse from back surgery. My own father had spinal surgery, long before I ever heard the word “Chiropractic.” That procedure changed intermittent, moderate back pain to constant, severe back pain, until the day he died. Most people who get back surgery these days, end up with multiple surgeries. Then there are the “adverse events”: increased pain, numbness, tingling, burning, anesthesia reactions, other drug reactions, further neurological injuries and nocosomial (hospital-borne) infections, including osteomyelitis, infection of the bone… nasty stuff. For those, and those you know, who are considering spinal surgery, I do know the medical game that they have stuck in your head. “We have to run these tests.” “One more test.” “We are going to refer you to another specialist… a top man/woman.” You are thinking “Well, I have to first find out what it is.” They will give you answers, but answers that are useless to you getting well. All this looks like science, but, in the end, it is marketing for surgery. “We are going to first try some physical therapy.” Getting you stronger will not correct your nerve interference. “Next, let’s shoot that joint with corticosteroids (prednisone, or other related compound).” Madness. While this procedure may give some relief for some time, the drug itself causes further massive destruction of the joint surfaces of an already compromised joint. If your reason for reading this, for considering coming to me for a check-up, is back pain, that’s fine. But realize that that is not the sole reason to come to me. Pain relief is not the only benefit of coming here. Inside your spine is your nerve system. The spine protects the spinal cord and the emerging spinal nerves. You have new and/or old misalignments in your spine, painful or not, which interfere with the function of that nerve system, which interferes with the expression of your Innate Intelligence (click on ‘The Truth and Innate Intelligence”). This is Vertebral Subluxation Complex (VSC). VSC causes you to have a loss of normal function… physically, mentally, socially. Removing interference, by means of the chiropractic adjustment, allows your body to heal, to become and to stay healthy. Bad Hips, Knees, Shoulders, Wrists, TMJ and More! Bad hip or knee? I already know what you’ve been told: “It’s bone-on-bone. You have to have surgery. We’ll replace your worn-out joint with an artificial one.” You think that you have no choice. Once again, I ask you: “Want to cheat the surgeon?” We do just that here, in this office, all the time! Yes, you DO have a choice. You can go ahead and have the surgery, and risk the joint not fitting or working properly, or the device itself being recalled (yes, that has happened), and/or anesthesia or other drug reactions, nocosomial (hospital) infection, etc. 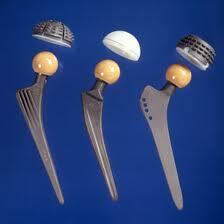 Even if it does “work,” these artificial joints are only meant to last seven or eight years. Then, it will be surgery time again, and you will be subjecting yourself to those risks again, except that you will be seven or eight years older. While you might view the standard medical approach as impressive, in reality, it is grossly over-simplified. You point to your bad knee, and that is the only thing that your orthopedist looks at. Chances are you may also have problems with the joints below (ankle and foot) and the joint above (hip). Almost certainly, the nerve supply to that joint, its circulation, its muscles, is compromised. 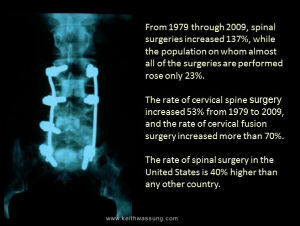 That is from the spine, Vertebral Subluxation Complex. That must be corrected. We do that here, through gentle, specific, scientific chiropractic adjustments. While your bad wrist or knee or hip improves, so will your overall health. Nice bonus, huh? Give our Marin County chiropractic office a call to begin your journey toward health… safely and effectively! Mill Valley, Larkspur, Novato, Sausalito, San Rafael and San Anselmo families. Chiropractic Websites by Perfect Patients.